Since the dawn of videogames, text guidance has been crucial. 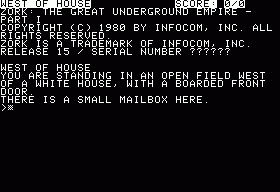 Prior to the development of the advanced graphics we’re used to today, early text adventures would provide you with a description of an environment or instance, and text input would be required to carry on. If there was a door, you’d need to tell the game to ‘OPEN DOOR’ to progress, for example. Archaic, yes, but simple things could be done incredibly well; type in ‘EXAMINE’ when referring to an object and it can be discussed in the meticulous kind of detail only text could provide. As graphics developed beyond this, and once we developed story-heavy games with decent graphics, subtitles became essential before voice acting. 1994’s Super Metroid, for example, used very limited amounts of voice acting in favour of text, saving more space for gameplay. However, as time has progressed, use of subtitles and captions in games is becoming less and less of a focus. I remember playing through Destiny at launch with closed captions on, and realising that whilst the main gameplay is subtitled, interactions with NPCs in the hub-world of The Tower was completely lacking. After realising this, I decided to play through a handful of games with subtitles or closed-captions enabled, and found a few intriguing things. Captions often don’t match the voice acting. Usually this doesn’t impact the story much, but language choices are obviously important in developing a character. Often this is within games translated into English, and it seems that the voice and text crews make mistakes. Series such as Sonic the Hedgehog and Resident Evil are privy to this. Another huge note is that it’s not just Destiny that ignores captions. Other AAA games do the same; Grand Theft Auto’s phonecalls don’t provide captions even when you turn subtitles on for everything else. I find it easier to read and game than listen and game – I’m more focused on the screen than the audio – and this has thrown me off more than once. It’s a shame that as graphics and gameplay have advanced, keeping small things in such as text has been removed, and it seems that subtitles have taken a back seat. Mind you, there’s one huge genre that’s still doing well – partially because it has to – and that’s in the RPG genre. Games such as Mass Effect, The Witcher and the Elder Scrolls series almost require text, not only for your choice of character to speak, but as a method to communicate everything to the player. RPGs are still ridiculously text heavy – not that that’s a bad thing, just go play The Witcher III: Wild Hunt and that’ll prove it’s wonderful, but it gets one better: within Fallout 4, especially once you install mods for text choices, you get the ability to change the colour of your screen and your subtitles, meaning that each player can personalise the experience of reading provided subtitles. I still think captions are an afterthought for most major companies, which is a shame considering that deaf or hard of hearing gamers as well as those who don’t necessarily focus on audio are being pushed out of what can often be insightful moments of gameplay and story. So, do us a favour, Rockstar, Bungie and the likes? Please just remember to caption… everything.